Gillson Beach in Wilmette is one of our favorite places to paddle. 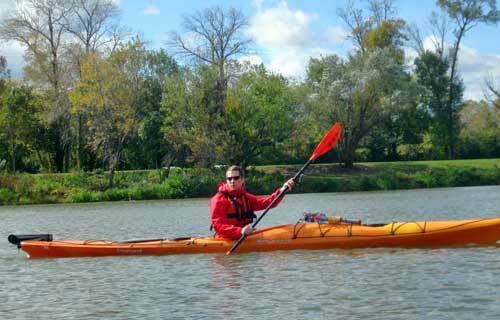 Located just off of Sheridan Road, kayaking here offers great views of the Baha'i Temple, sunsets, and when we paddle south, the Chicago Skyline. The Skokie Lagoons in Winnetka are a hidden slice of the outdoors located close to the bustle of Chicago. This man made waterway is home to many wooded islands, hidden water trails, and abundant wildlife. The water trails are connected to the North Branch of the Chicago River. Were open 8:30am to 5:30pm Monday thru Friday. Come drop by today and check out all our great trip photos and library. We also have a full size brich bark canoe on display!